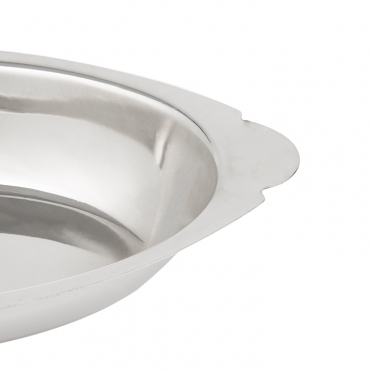 When you plan on serving macaroni and cheese or au gratin potatoes, you will want a beautiful piece that can go from oven to table with ease. 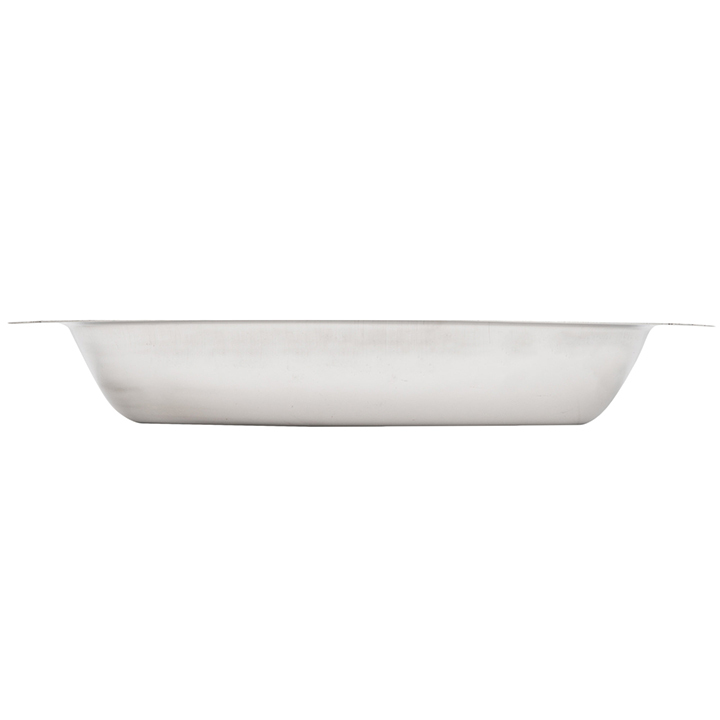 This bowl has a generous size and works well for presenting these types of dishes. 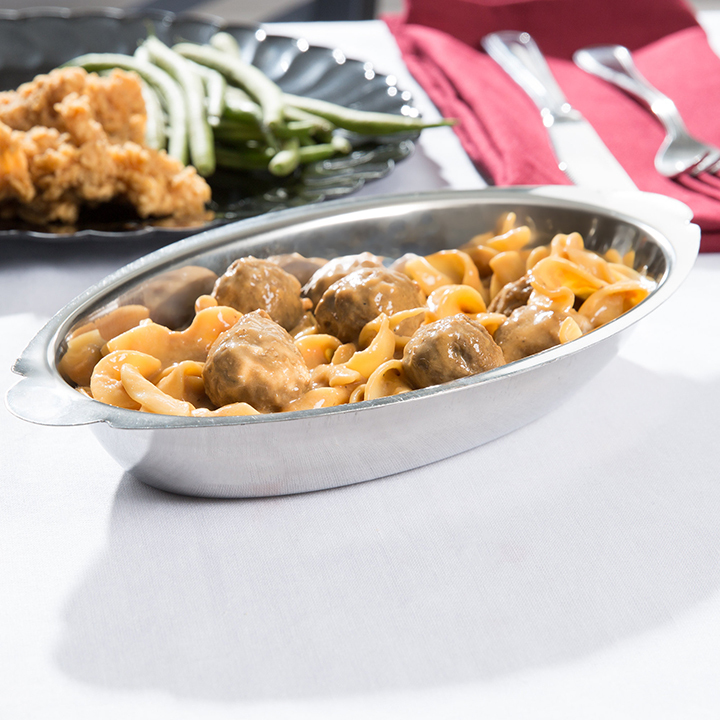 This stainless steel bowl has a reflective exterior that appears elegant and regal. 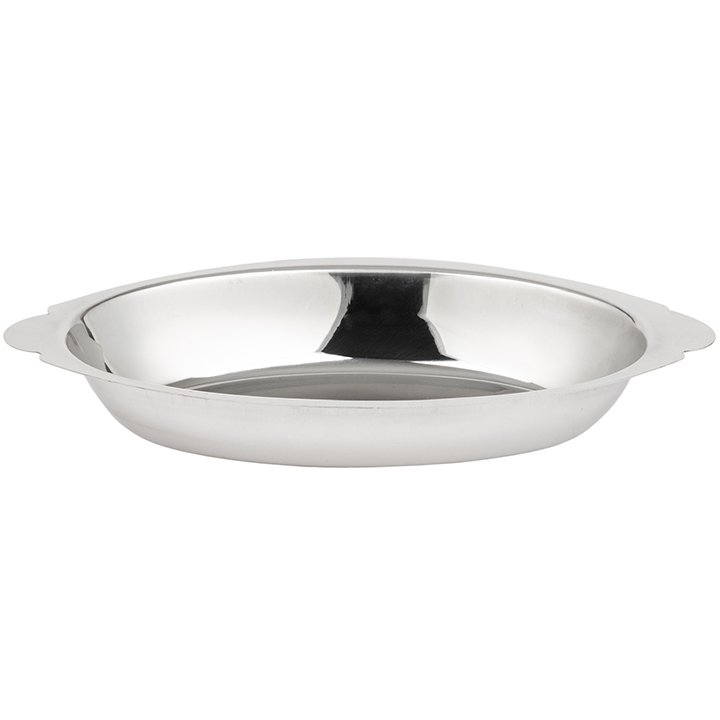 The handles have scalloped-edges, which makes service simple as well.